So said Harry to Eggsy and so it would do us well to remember when we are on the road. That car that you are driving can be a deadly missile and some road etiquette would be highly helpful in getting everyone home safely. Not to mention that instead of just being a faceless car, every other car has a driver who is a human and deserving of respect (despite how little they may show others). So without further ado, let’s review some of the manners that we might have known but forgotten on the jaded and often unforgiving roads. Tailgating is both a dangerous and disrespectful act. 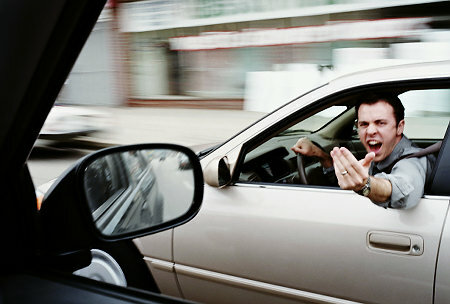 Other drivers have as much right to drive as you do and should not have to feel bullied because you want to get ahead. Try to use the 3-second rule to make sure you are a safe distance from the car in front of you. If you really must, beep them with the horn or use your high beams to let them know you’re there. You know the right lane? The fast lane? If you’re planning to have a leisurely drive, that is NOT the lane you should be in. If you’re slowing down traffic, and cars are passing you on the left lane, you are not just being disrespectful, but you’re being a road hazard. If it’s a really dark night without streetlights, high beams can be helpful in seeing where you’re going and making sure you don’t hit anything. However, using your high beams with other cars around can be dangerous because it robs them of their night vision, making them effectively blind for a few seconds. Don’t be “that” guy. If you have a habit of using your high beams, or have very bright headlights installed, do something about it. Ah, the turn signal. So simple, yet so neglected. Using your turn signal allows other drivers to know where you’re headed. How many times have you been driving, and the schmuck to your left or right suddenly merges into your lane with no warning? Well, don’t be that guy either. Use your turn signals, I promise it won’t kill you. The life you save could be your own. Merging lanes is a delicate business. You get the aggressive drivers who accelerate and cut into your lane at the last minute without even a signal or thank you. Yet, we can be guilty too of accelerating when we see somebody signaling to merge. If you have the space, let the person merge, it makes yours and their drive a little bit easier. Of course, if allowing them to merge is dangerous than your safety comes first. If you need to change lane, don’t wait till the last minute to do it. Know where you’re going and what you’re doing on the road. Don’t drive aimlessly and distractedly. Besides, make it a point to heed the speed limit, both going too quickly and too slowly can be dangerous. Yes, we’ve heard it before, but it needs to be said again. No cellphones, texting, eating, makeup, operating music devices and so on. When you’re driving, your attention should be focused solely on driving, for both yours and other’s safety. It takes 3-5 seconds to read a text, and that 3-5 seconds might be time you don’t have when a car suddenly brakes in front of you. 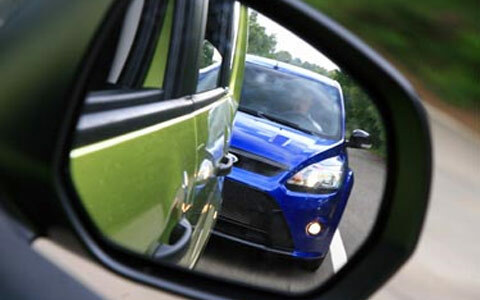 Other drivers can still see you even if you’re in the car so be respectful and be courteous. If someone wants to pass you, use your hand to indicate that they can. If someone is nice to you, wave and mouth a “Thank you”. A simple wave to say “thank you” when another driver has let you merge can make someone’s day. Maybe they’ve had a bad day, maybe their dog is ill, maybe they’re just angry people. It can be very satisfying to respond in kind to another rude driver, but violence results in more violence. Better yet, show yourself the better person by taking a deep breath and not responding. You’ll get where you’re going safely, and the other driver will have to deal with their own problems. Manners maketh the man (or woman). Be a respectful driver, even if others aren’t. Peace out! Audi is Introducing This Amazing System in their Cars! You Won’t Believe What It Is!